ARMEX gets many questions about abrasive blast cleaning. This is not surprising, given how important cleaning is. Cleaning is being done every day in multiple industries and is an integral part of many businesses and their processes. One of the most commonly asked questions about using sodium bicarbonate (a.k.a. baking soda) as a blasting abrasive is simply this: How does it work? First, a bit of history. Using sodium carbonates as cleaning agents goes back to ancient times, although soda blasting did not come into use until three decades ago. That is when engineers working on the 100th anniversary restoration of the Statue of Liberty contacted ARMEX parent company, Church & Dwight Co., Inc., makers of ARM & HAMMER™ products. They hoped to find a way to remove the final two layers of interior coal tar coatings from the statue without damaging its delicate copper skin. Trial and error with many different blasting abrasives led to the discovery that sodium bicarbonate could do the trick exceptionally well and without causing any surface damage. 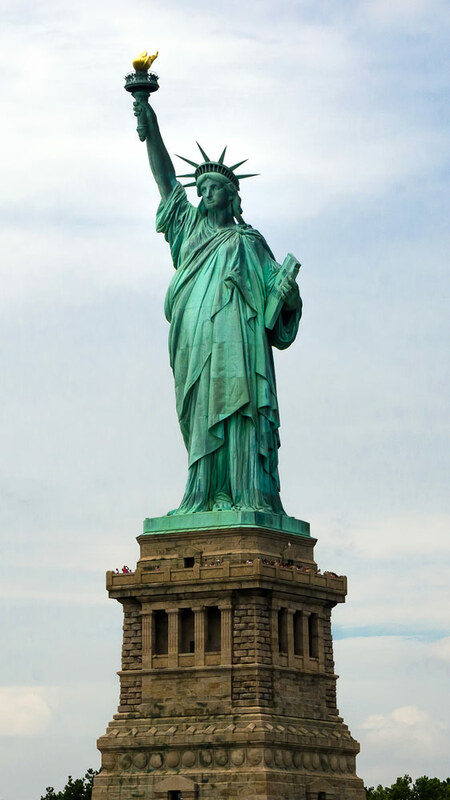 One hundred tons of baking soda was used to clean Lady Liberty and Church & Dwight Co., Inc., as a follow-up to this success, launched the first sodium bicarbonate blasting abrasive, ARMEX. What is abrasive blasting? Abrasive blasting is pressurized air or water containing a suspended particulate (the abrasive media) that is projected at a surface for the purpose of removing a coating or contaminant. How does baking soda blasting work? Baking soda blasting can be done wet or dry. Both methods require compressed air or water to deliver the baking soda. In addition, baking soda is a soft crystal (Moh’s hardness of 2.5). It is harder than the contaminants you are looking to scrape off, be it grease, oil, paint, environmental soil, etc.—but softer than the substrate. This is how it is able to clean without damaging the underlying surface. By comparison, when a hard abrasive particle impacts a substrate, the energy of the impact is transferred into the substrate, fracturing it and blowing materials off. When baking soda impacts a substrate, the impact energy is transferred back into the baking soda crystal itself, which gets fractured and blown apart. The substrate remains unchanged. Sodium bicarbonate is the ideal blasting media for the removal of oil and grease, and this is why: grease and oil, both petrochemically and agriculturally sourced, dissolve better in an alkaline environment. Sodium bicarbonate has a pH of 8.25, making it a mild alkaline material. During blasting, an alkaline environment is created by the distribution of sodium bicarbonate particles over the substrate (underlying surface) being cleaned. These particles absorb oil and grease because the oil and grease favor the alkaline environment over the substrate. Dry-blast greasy or oily surfaces with sodium bicarbonate, and you’ll have a contaminant-free surface when done. There are also benefits to the water solubility of baking soda. Mix it with water and the crystal turns into a granular slurry, an ideal scouring agent. Delivered at high velocity via soda blasting, it will scour virtually any contaminant from any surface. When done scouring, it is easily rinsed away. That represents a significant difference from glass bead or plastic media blasting, which generally require an additional inspection step for technicians to pick, brush and blow retained media out of blind passageways and internal components. With baking soda, a quick fresh-water rinse is all you need. Finally, there are some real advantages to soda blasting when it comes to waste disposal, both in terms of operational costs and environmental impact. Highly abrasive blast media will remove metal from the surface of parts, creating high concentrations of heavy metals in the waste stream. A softer, gentler blast medium like baking soda will remove only the oil, grease and particulate soils, which can be filtered or skimmed before dumping. This waste is no longer considered hazardous, which means significant reductions in disposal costs. In addition, thanks to baking soda’s water solubility, spent media can be converted into an effluent by adding water that can then be passed through filtration. Depending on local regulations, the filtered effluent will be sewer-friendly, as it contains merely water, dissociated sodium bicarbonate and other water-soluble components. The waste stays trapped in the filters. ARMEX is environmentally friendly and classified as a non-hazardous and no-toxic (GRAS) material. ARMEX is water soluble, pH neutral, non-flammable (wont thermal spark) and is silica free. 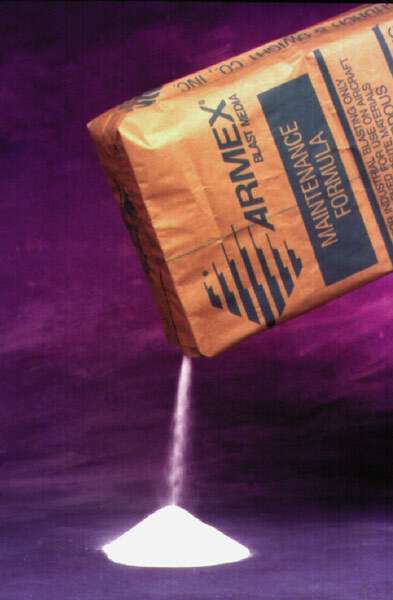 ARMEX formulations are unique and distinct from other baking soda blasting abrasives. ARMEX is the only baking soda abrasive with flow aids and advance moisture control additives. ARMEX is the only baking soda abrasive on the market that is USDA A-1 approved. This means ARMEX™ hold a USDA certification as a general cleaning agent for all surfaces in all areas that are in contact with to food. An additional benefit of ARMEX products are flow aids and advance moisture control additives which will prevent blasting equipment from clogging. Baking soda is a natural desiccant and loves to absorb water. Without these flow aids and advance moisture control additives, traditional baking soda would clog blasting equipment. In addition, it helps to preserve ARMEX when stored in high moisture environments or when used in high moisture environments. The blast media used in soda blasting can be formed from several different sizes of sodium bicarbonate crystals, each appropriate for specific types of cleaning applications. ARMEX has developed 11 sodium bicarbonate formulas, with mean particle sizes ranging from 70 microns to 270 microns. Generally speaking, more robust surfaces can withstand higher crystal sizes. 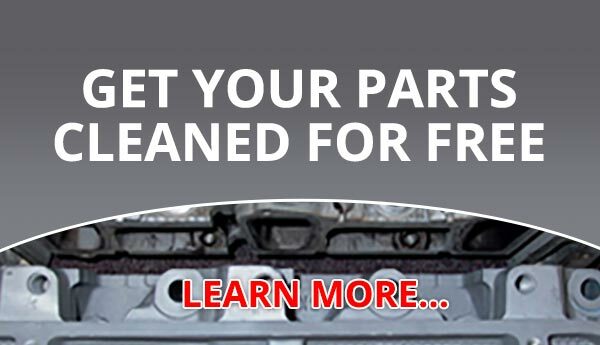 Larger particles yield more cleaning power making the correspondent formulas appropriate for thicker coating removal and heavier cleaning applications. Medium-sized particles carry less mass but deliver more hits per square inch to the material being cleaned, and are thus suited to remove thinner coatings on more sensitive substrates. Smaller particles are best for substrates that are more delicate; ARMEX uses them to create specialty formulas for very specific surface preparation requirements, such as highly sensitive, thin or composite materials. Soda blasting is a versatile process, from its use in cleaning colossal statues to blasting greasy residue off automotive parts. ARMEX family of sodium bicarbonate formulas are versatile as well and excels at grease and oil removal and removal of coatings, burnt on carbon, gasket materials, grim and any other contaminant that is less harder than baking soda. Use ARMEX for abrasive blasting on a wide variety of materials including glass, steel, aluminum, lead, alloys, plastics, rubber, composites, wood, masonry materials and PVC all without damaging the substrate materials.